Japan trip – day 4, Osaka time! So on Thursday night my flight from Ishigaki landed safely in Osaka. After a 50 minute train ride, I arrived at Osaka’s Namba station, just a five minute walk from the Fraser Residences, home for the next couple of nights. I grabbed a Tonkatsu sandwich from Family Mart and checked in. My apartment comes with a washing machine which is much needed, and an HD cable tv service. Flicking it on I saw an episode of Columbo I’d never seen before! In Japanese. One button press later though and I was enjoying it with the original sound. I stayed up until 2am watching that, which probably explains why I slept in the next morning. 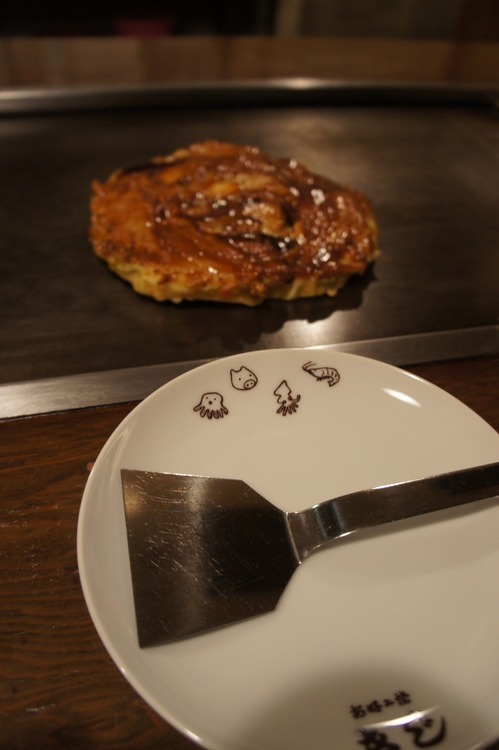 Osaka – previously Japan’s capital – is famous for its food, and my first stop on Friday was apparently the best place to sample okonomiyaki – a savoury pancake which is a speciality of Osaka. 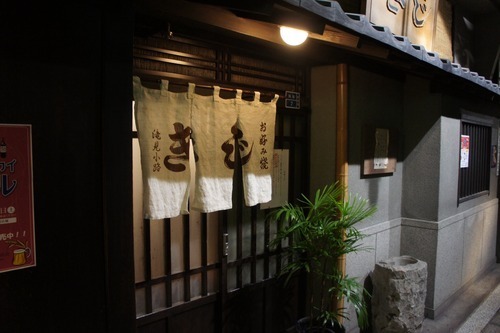 Kiji restaurant was located in the Blue Sky Building, a bit of a walk from Umeda station. Everything I’d read about it said that you could spot it easily from the queues outside, but when I arrived in the basement complex of restaurants, there was no queue to be seen anywhere. 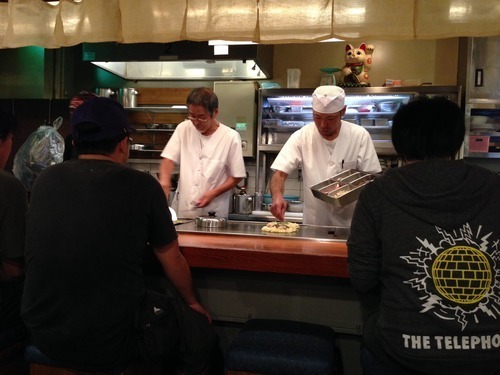 I wandered round the maze of small restaurants until using my hiragana reading skills I spotted きじ – or Kiji. It looked completely closed up. I was just about to leave when I thought ‘hang on, I’ve come this far, I might as well try the door’. The door slid open and suddenly I was in a tiny room with a couple of tables, an aroma of hot egg and pork, and two chefs behind a counter. What I took to be the man in charge (the older chef) came over and asked where I was from. “Scotorando-jin desu ka” I replied. I’m from Scotland. “I will make you my speciality” was his reply. Sweet! Or savoury as it turned out. Back behind his hotplate, the chef artistically combined egg, noodles, bacon and prawns before topping it with mayonnaise and what looked like Tonkatsu sauce. It was served steaming hot on my own individual hotplate and with a mini spatula and the obligatory chopsticks. It was tasty – very, very tasty. “Oishi desu!” (It’s delicious) I told the chef who smiled and nodded in appreciation. It was also very very filling. After I’d finished he wiped clean my spatula and handed it to me as a souvenir to keep. Nice! A meal I will definitely remember – and the grand cost? About £3.90. You wouldn’t get that in London! 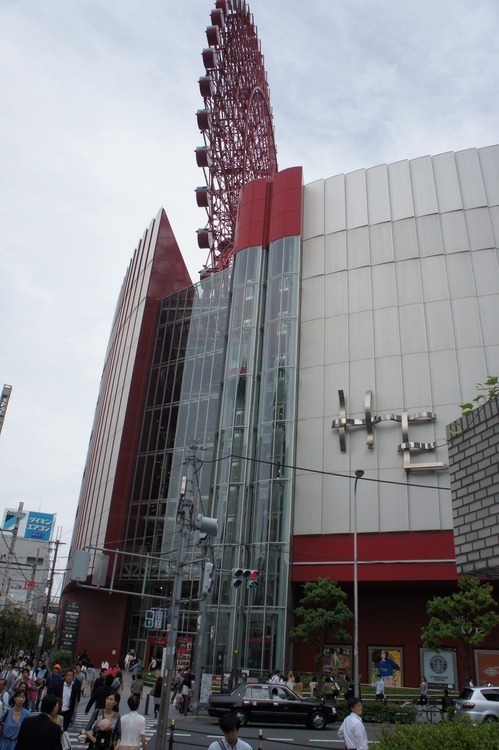 Next I headed to HEP5 – an achingly trendy shopping centre which was full of Osaka hipsters. But the attraction I’d come for was to be found on the roof…. 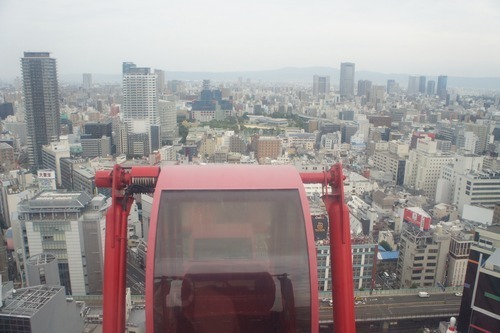 The big wheel on top of the centre rises 106 metres in the air. I had my photo taken in front of one of those cheesy green screens and then headed into the capsule. It was slightly disconcerting as my cabin left the building. 106 metres is very high up indeed. People really did look like ants and from the air it was surprising just how similar all of Osaka looked. It was interesting – for the first two minutes – maybe a big wheel isn’t a thing to be done by a solo traveller! Landing back on terra firma (eventually, the wheel went very slowly) I said thanks but no thanks to my green screen photo (I thought I looked a bit sad posing on my own!) and headed to an Osaka sight which has became famous amongst me and my friend G. Osaka Station’s water clock. If you haven’t seen it, you can watch a video here, it is pretty amazing. 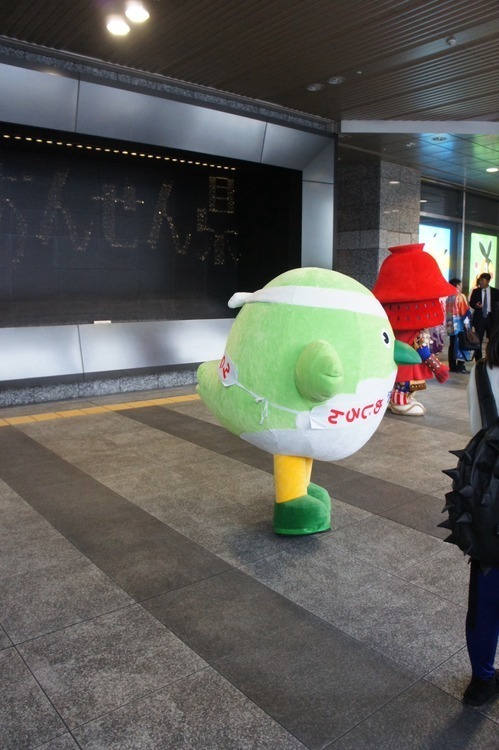 Unfortunately when I got there there seemed to be some government initiative taking part right next to it including a tennis ball mascot and a friendly looking cuddly samurai. So it was a bit mental and hard to get near. But I saw it I guess! Next up was Bow Wow Experience Cafe on Dotomburi – a place where you can relax and enjoy coffee and a snack while meeting the cafe’s friendly dogs. Except you can’t anymore – after trying for ten minutes to find it, some googling revealed it’s now the pasta cafe I had walked past a dozen times – and it no longer has dogs. 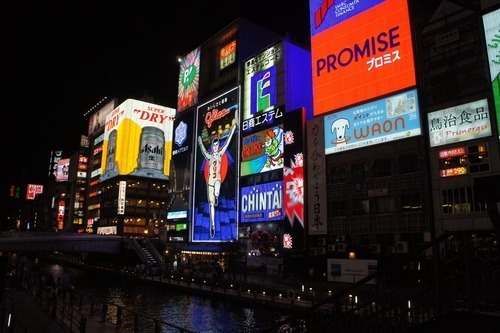 So then I decided to head off exploring Osaka’s shopping street – Shinsaibashi. 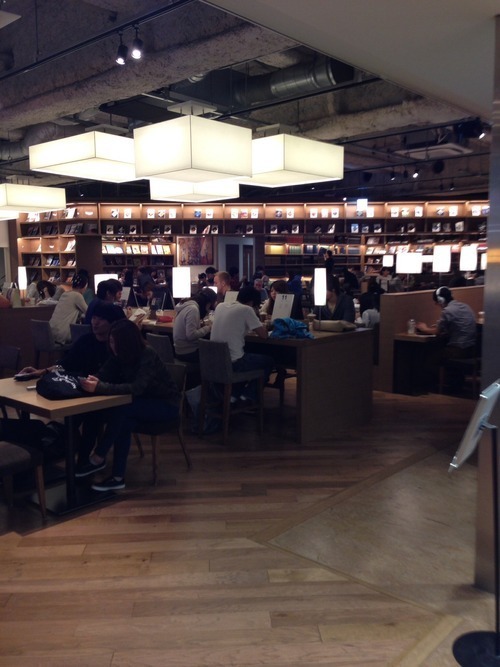 After my dog let down I consoled myself with a coffee at possibly the nicest Starbucks I have ever seen – one inside a Tetsuya store. It had loads of books and was a welcome escape from the hectic streets outside for half an hour. Then it was back to shopping. I walked and looked around stores and walked and walked. I saw the famous Osaka landmark the Gilco man, visited Tokyo Hands (a brilliant chain for weird stuff) and then headed to McDoruando for dinner. I felt exhausted. 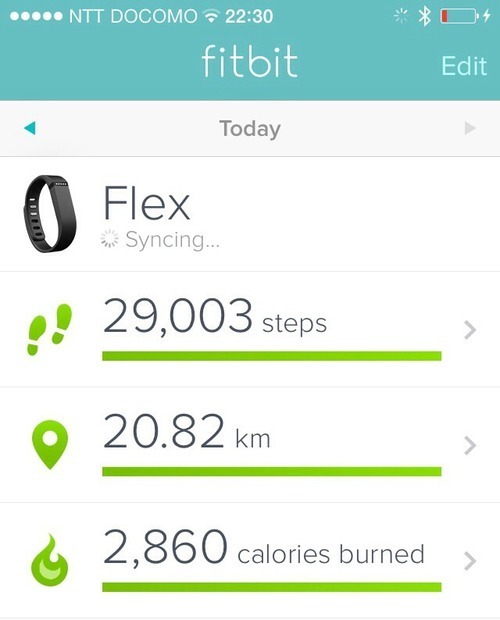 Checking my fitbit I saw I had walked 29,000 steps today – or twelve miles. No wonder I was knackered!